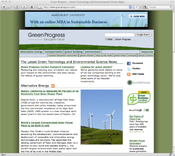 "Green Progress provides the latest green technology and environmental science news and resources. We're interested in the ways people are developing and using technology to create a more sustainable world." 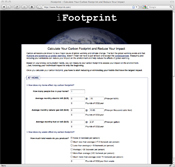 "iFootprint calculates your carbon footprint based on your emissions produced from your home, garbage, recycling, driving, air travel, as well as eating habits. iFootprint provides an estimate of your direct contribution to global warming and climate change, and offers tips on how to immediately reduce your impact." 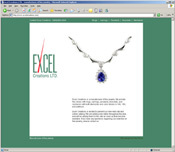 "Excel Creations is a manufacturer of fine jewelry. We provide fine stores with rings, earrings, pendants, bracelets, and necklaces. We provide you with jewelry both in diamonds and color in 14K, 18K, and platinum." "Our mission at Dominion Home Realty is to achieve our client goals with effective communication through out the entire purchase process of buying or selling a home." 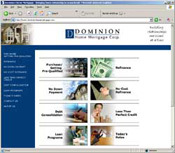 "Our mission at Dominion Home Mortgage Corp. is to be committed to provide residential mortgage loans with open and effective communication to our clients throughout the loan process." 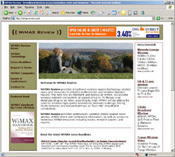 "WiMAX Review provides wireless broadband access technology news and resources to industry professionals and wireless decision makers." © 2004 - 2019 OlechTech. All rights reserved.